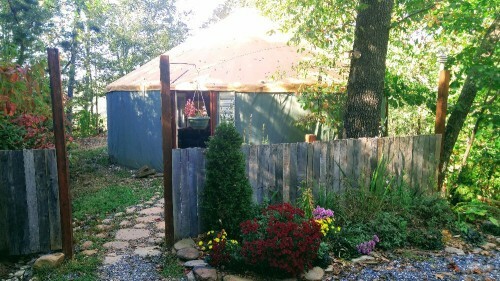 This 30ft Yurt is beautifully located 3000ft+ in the Great Smoky Mountains of Western North Carolina! This is an amazing central hub for outdoor and nature enthusiasts. You’ll find this little oasis tucked away in the forest for the perfect romantic getaway or family inspired retreat! The Yurt sits on 3.21 acres of mountain land and is the second house from the top of the mountain at around 3,000 feet above sea level! For added security and safety driving, the road is gated and paved for easy access to the lot. 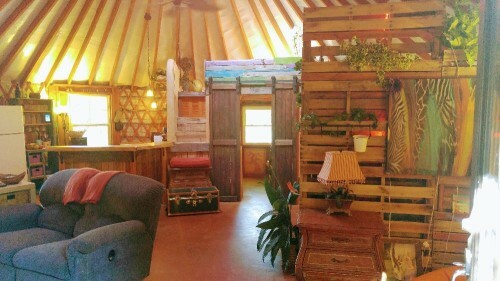 There is a Certificate of Occupancy for the Yurt but there is no well. All the windows are wood framed with traditional sliding windows. 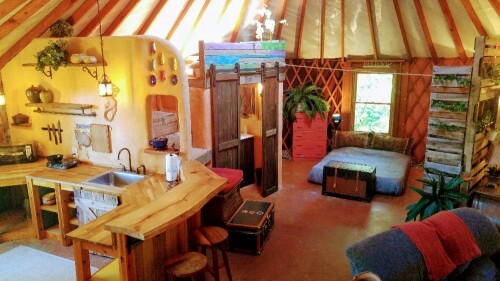 There’s a brand new split A/C heat pump installed in the Yurt and all interior walls feature all natural cob plaster. Open to owner financing options.